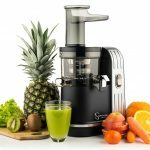 Studies have shown that once grains are broken down into flour, the nutritional value begins to deteriorate through oxidation. 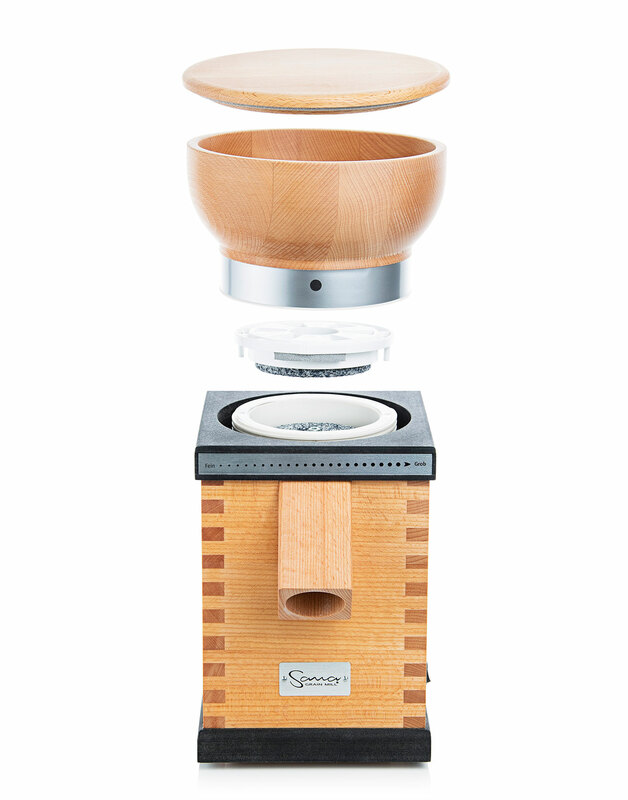 The Sana Grain Mill allows you to make your own fresh flour quickly and easily without the need for additives or preservatives. 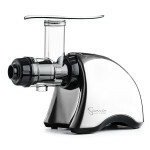 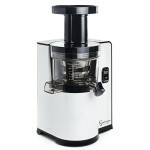 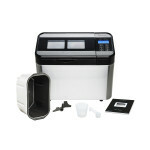 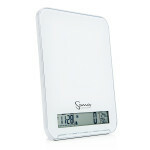 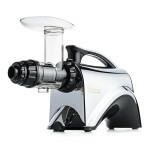 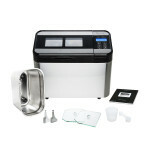 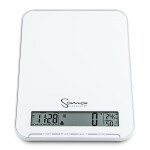 And the low temperature grinding process ensures that essential oils, enzymes, and vitamins are not destroyed. 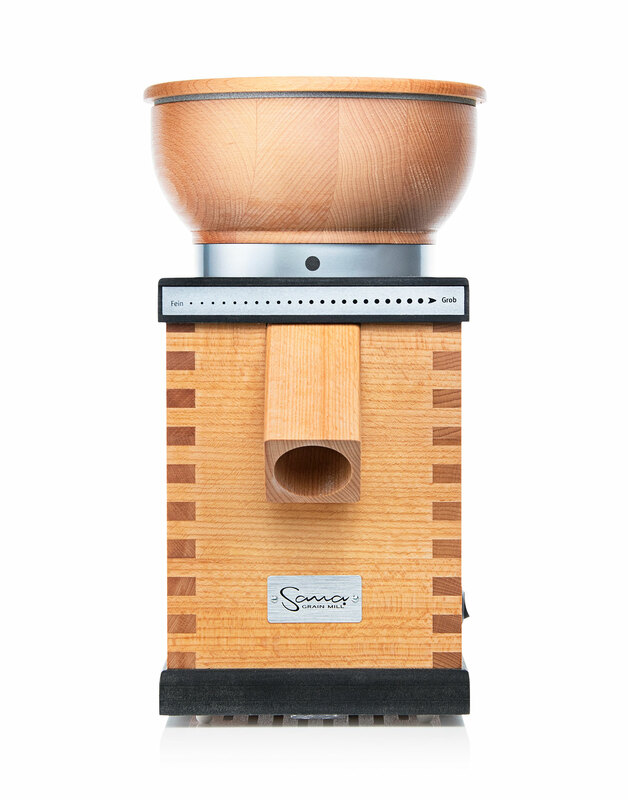 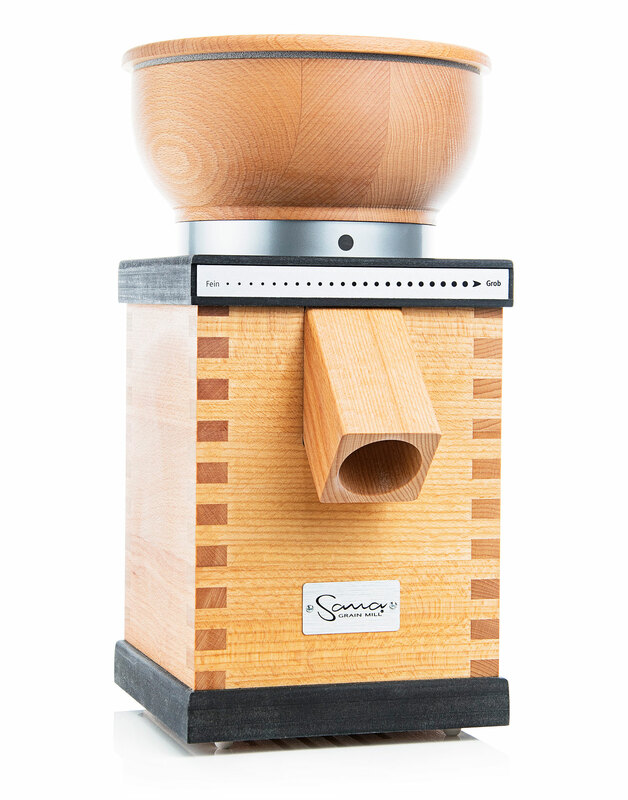 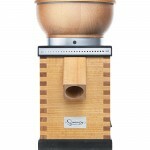 The Sana Grain Mill is a beautiful machine constructed of the best quality beech wood sourced from environmentally-managed forests. 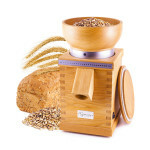 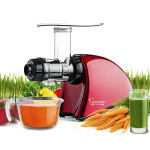 The 360 watt electric motor provides plenty of power for grinding wheat and other dry grains quickly and quietly. 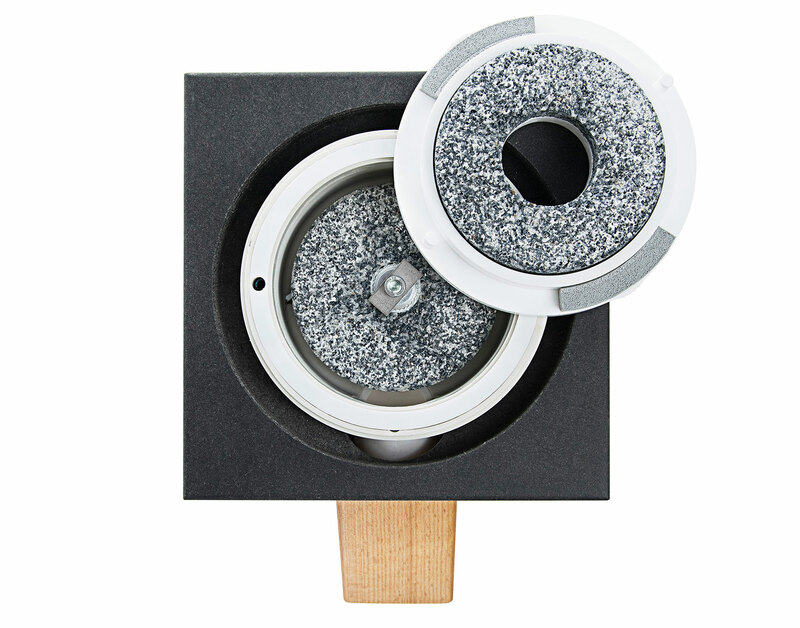 The 85mm grinding stones are made from a mixture of corundum and ceramic, which makes them extremely durable and strong. 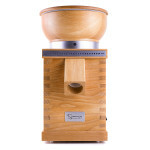 By turning the grain hopper, you can adjust the coarseness of the flour produced. 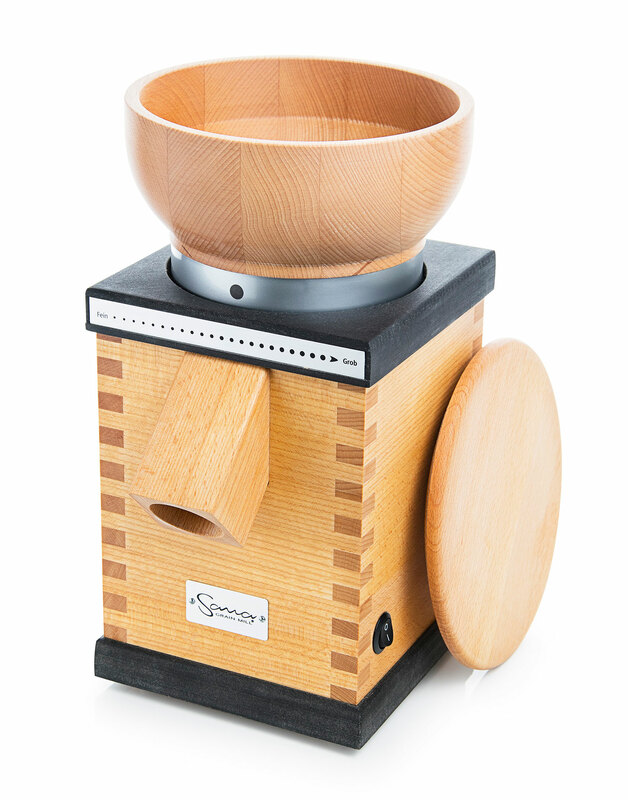 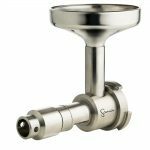 Anything from coarse cereal flour to ultra-fine cake flour is possible with the Sana Grain Mill. 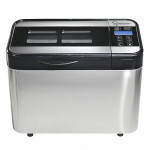 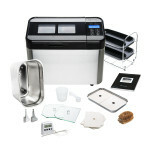 And with a 12-year warranty, you can be sure that this machine will be a centerpiece in your kitchen for many years to come.